WASHINGTON, D.C. — Mid-February, Tuesday night, a downtown D.C. restaurant. 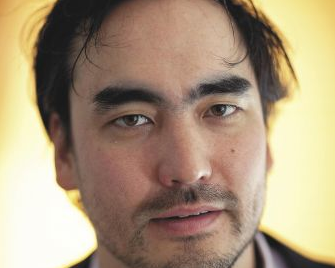 Nursing a pint of Magic Hat in a back booth, Tim Wu struggles to make the transition from one of the loudest lives in academe to his new job as a quietly effective federal bureaucrat. The Columbia Law School professor used to be his own boss, CEO of Tim Wu Inc. He made his name by coining the concept of “net neutrality,” the notion that network operators shouldn’t block or favor certain content. As an essayist based at Slate, he translated technology policy for popular consumption and chronicled an eclectic list of other obsessions: vintage Hondas and Mongolia, weight lifting and yoga, dumplings and hot springs. He broadened his audience this past fall with a sweeping new history of information empires, The Master Switch (Knopf). “He’s on the cusp of being enormously influential,” says his mentor, Lawrence Lessig, a Harvard Law School professor and copyright-reform advocate. Which company scares you the most? It’s the sort of Beltway dodge that’s as natural as breathing to the suits in this white-tablecloth restaurant. But despite the agency badge tucked into his jacket, the tattooed, shaggy-haired, cowboy-boot-wearing scholar is not quite a member of their tribe. With a little prodding and one big caveat—”I don’t represent the FTC in anything I say”—he looks up from his fish stew and deadpans a quietly barbed critique that is vintage Wu. Apple and its chief executive, Steve Jobs, are the players “most interested in a complete paradigm shift” in computing, he says. They want to replace the chaotic freedom of personal computers with a new regime of controlled devices. (Picture the televisionlike iPad, with its strictly vetted App Store, and you get the idea.) It’s a familiar rap to anyone who follows these geek debates, at least until Wu pivots to Plato. As tech wonks debate his work, the more pressing issue is what might change now that Tim Wu has some power to directly shape government policy, not just public opinion. Should companies worry? Hints at the answers can be found in a peculiar career that winds from Harvard Law School’s vibrant cyberlaw scene to the trenches of Silicon Valley’s Internet wars. Late summer, the Nevada desert, a dust storm. Tim Wu approaches a strange structure that he can’t quite make out. Is that what I think it is? To his disbelief, it is. Somebody has built a gigantic replica of the board game Mousetrap. You could say the same about his aggressively nonlinear career. Those traits were nurtured outside Toronto, where Wu’s scientist parents sent him to a nerdy, self-directed alternative school. His father, a secretive partisan in the fight for Taiwanese independence, gave him a model for fusing science with activism. His British mother gave him an Apple II, the primitive machine that would transform personal computing into a mass phenomenon and furnish geeky suburban kids with a powerful vehicle for mischief. One of Wu’s classmates from those days, the science-fiction author and journalist Cory Doctorow, recalls epic weekends pranking people on dial-up bulletin boards. “We were deliberatively argumentative and belligerent,” he says. Wu considered following his folks into science. But after studying biochemistry at McGill University, he impulsively applied to law school and got into Harvard. In his second year there, he took a class that changed his life. “The Law of Cyberspace” was taught by an obscure visiting professor with a taste for black jeans and tiny glasses: Lawrence Lessig. This was 1997, before Google’s founders had even set up shop in their Silicon Valley garage. The Internet’s possibilities seemed wide open. But Lessig would soon gain fame preaching an apocalyptic future. His 1999 book, Code and Other Laws of Cyberspace (Basic Books), warned that precise regulations were necessary to prevent business and other special interests from controlling the Net. After law school, Wu decided to continue his technology education—up close. So he did something odd, at least for someone who could have punched his ticket to the legal establishment. He cut loose for Silicon Valley. The week after our Washington dinner, Wu returns to a different Cambridge classroom. The FTC adviser is back in town to lead a colloquium on The Master Switch at MIT’s famous Media Lab. It’s a challenging audience for this dark tale of monopolies past, because few places are more relentlessly focused on the future. The lab feels like a slice of Silicon Valley on the Charles River: an expensive playground for adults, where young researchers in jeans and sneakers balance coffee cups on laptops as they pad around among projects devoted to personal robots and new ways of watching TV. Wu does his best to engage 40 of these futurists with nothing but a marker and a whiteboard. A child of the Net’s utopian youth, he built The Master Switch around one question: “Have we been here before?” His answer—a theory of evolution for information industries—emerges in a formula on the board. The Cycle begins with the birth of a new technology that swallows an industry. First this disruptive innovation must face what Wu dubs the Kronos Effect. In Greek mythology, Kronos is warned that one of his kids will dethrone him; he responds by eating them. Dominant companies, too, try to control or destroy innovations. Sometimes it works, as when the radio industry enlisted the government’s help to launch television as a replica of radio. Other times it doesn’t, as when the telegraph network failed to devour the telephone. Wu draws an arrow to another word: OPEN. This is the next phase. The disruptive technology has reached the market. The result is a period of competition, utopianism, and innovation. Think radio in the 1920s. Broadcasting, as Wu portrays it, was as accessible to amateurs as blogging is today. Radio manufacturers created stations, sure, but so did poultry farms, newspapers, churches, colleges, hotels. The craze spawned grand notions about virtual communities alleviating society’s ills. People would be liberated; discourse, elevated; distance, eliminated. “The people’s University of the Air will have a greater student body than all our universities put together,” said Alfred N. Goldsmith, RCA’s director of research, in 1922. Film in the 1910s and the Internet in the 1990s shared similar qualities. If your attention is drifting a bit by now, you aren’t alone. I count three people who fall asleep during Wu’s talk. His writing is dramatic, but his demeanor is not. He tends to press his lips together and smile slightly at the corners of his mouth. When asked a question, his eyes drift, and his mind seems to momentarily disappear from the room. As for his lecturing voice, it has two settings: calm, and slightly less calm. Wu presses on, still calm, to the critical tipping point. The uncontrolled new industry gains the attention of a “strong man.” The professor shifts to slightly less calm as he mimics this would-be Information Baron’s pitch for a new order. This technology is promising, but it could be better. It’s too chaotic. Not safe enough. Poor quality. I will offer you a fundamentally different, more secure, more polished product. On the back of that product is born an information empire, or monopoly, or oligopoly, Wu says. Long story short: AT&T got its monopoly. Radio tipped that way in the 1930s. Same with Hollywood movies. The problem, Wu argues, comes when this golden age of early monopoly gives way to something uglier. Once information empires take root, he says, they tend to grow stagnant, corrupt, and abusive. Silicon Valley gave Wu an inside view of a more modern form of abuse. He worked as marketing director for a company that sold devices to control what content traveled over the Internet and at what speeds. Its biggest client: the Chinese government. In other words, to violate the principle he would soon invent: network neutrality. Net neutrality was also good for Tim Wu, who became a sensation after coining the phrase in a 2003 journal article. Over the next few years, the media-reform group Free Press made him its chairman. Google brought him in as an unpaid fellow. Lawmakers consulted him. Reporters hounded him. Groupies fawned over him. Wu raised his profile further with a 2006 book that explored some of the same underbelly of Internet manipulation that he came to know in Silicon Valley. Co-written with Jack Goldsmith, a Harvard Law professor who served in the Bush administration, Who Controls the Internet?showed how governments were increasingly asserting their power over the Web. All this time in the spotlight was heady stuff, considering the more typical academic-career trajectory: hole up in a building, get tenure, and only later, maybe, emerge as a public intellectual. Also something of “a very dangerous strategy,” Lessig told the Observer, in the “jealous and small-minded business” of being an academic. One of the kids at Wu’s MIT lecture pops the obvious question: So now that you’re in the FTC, do you have any idea, near-term, what you’re going to do? The big new questions will revolve around the dominant platform owners now battling for the future of the Web, Wu predicted during another conversation. At what point does a company like Apple or Google or Facebook repeat the mistakes of Microsoft? When does their power trigger antitrust or privacy laws? In practice, what actually happens may be less draconian. One peek at things to come could be a 2009 FTC lawsuit that extracted a settlement altering business tactics at Intel. Under that deal, the company agreed not to use threats or discounts to hinder computer makers from purchasing its rivals’ chips. The case was also significant, legal observers noted, because it signaled the FTC’s attempt to widen the scope of antitrust enforcement through a unique legal tool at its disposal. Multiple business practices at Apple have already caught the FTC’s attention, including a new subscription model for media outlets that want to sell their content on the iPad and iPhone. Apple’s rules force publishers to give the company a 30-percent cut. They also block media outlets from steering readers from the iPad app directly to the outlets’ own Web sites, where they might buy the content for less. Pull back a bit, though, and Wu’s agenda appears far more sweeping than cases like that. In The Master Switch, he proposes a “Separations Principle” dividing those who produce information, those who control the networks that disseminate it, and those who control the tools through which it is accessed. In Morozov’s reading, such a split could refashion much of the information economy. “Apple won’t be able to sell music and video via iTunes; Amazon to manufacture Kindles and publish books; Google to display search results to its own nonsearch services in its own browser,” Morozov writes. And that’s problematic, he argues, because Wu fails to make a convincing case that Apple, in particular, is dangerous enough to warrant its subjection to such a policy. Steve Jobs may run the world’s most valuable technology company, but his Apple empire is not the AT&T monopolist of Wu’s book. The phone company once commanded the only network open to innovators whose work could have brought the Internet to the public well before that finally took place. “Apple’s centralized approach to innovation becomes problematic only if Apple is the sole supplier of mobile phones or MP3’s or tablets: not impossible, but hardly on the horizon,” Morozov writes. Back at the restaurant in Washington, I press Wu a bit more on the future. What happens if your nightmare comes to pass? What’s your science-fiction-like vision of what the Internet might look like? You can imagine a world where a few people are once again the anointed creators, he responds, and the rest of us spend our time watching what they produce. Say Apple becomes the dominant platform. Want to start a new company? They decide which companies are good. People like blogs? OK, we’ll have auditions for bloggers. Newspapers? Maybe we’ll have two of them, one liberal and one conservative. Then he tells me another story, one from the past. It’s sometime around the early 2000s. Craigslist is young. Strangers trust it. Wu, then living in San Francisco, posts an ad: “Who wants to climb Mt. Shasta next week?” Three people answer, and he climbs the volcano with one of them. “We may look back at this era, the last 15, 20 years, as that early utopian, exciting era of the open Internet,” he says.